Alchemy is defined as changing base metals into gold. As we begin to work with you we work on helping you change cellular memory and help you to shift, change and empower your life. We are here to help you find and move through your fears, to manifest your desires, and to help you create a different life. We call this alchemy so that you understand that as you allow us to help you along your path, it turns into a golden filled journey of light. 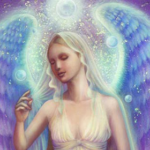 We invite you to be open to change, to a shift in your awareness and vibration and so that with our angelic help you can soar in your life and to be in the flow of universal energies. Let us help you turn your challenges into a golden filled beautiful expression of who you are and what you deserve in your life. We will work together twice a month to help you shift, change, and empower the light inside of you. Our guidance will bring you ways to look at where you want to be and to help you recognize the blocks that are holding you back. 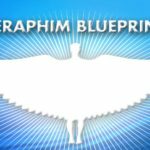 We will bring you joyful, angelic guidance through a channeling with Rev. Mary. What is it that you desire most in the world? Are you ready to move, to take guided action and to shift and change? Are you ready to work on yourself to get there? If your answers are yes then “We are here, we are love and we are ready to help you”. What do you want to do? It can be changing a physical piece of you, such as losing weight, finding a relationship or getting a new career. 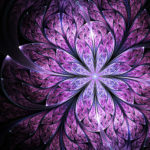 It can be more spiritual such as finding out who your guides and angels are, or starting or deepening a meditation practice, or working with crystals and other tools. We are ready to hold sacred space to allow you to discover all the wisdom and healing that lies inside of you. This is individual time and an investment in yourself that will help you witness miracles in your life. They are there and as you step into the sacred space we hold for you with love, they will unfold in many ways. We may also give homework to complete during the month in order to move to your desired goals. We will work with you two times a month, the first time will be a coaching and channeling session where we look at your wants and help you work out a plan for the month. The second visit in the month will be a healing session, guided by us to your needs, it may be Reiki, Sound Massage, Integrated Energy Therapy or Crystal Healing. The sessions can be done remotely or in person. There will also be weekly email messages. Daytime and evenings sessions can be scheduled on Tuesdays, Fridays, and Saturdays at the Angel Gathering Place in Sparrows Point, MD. 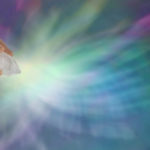 Please call me at 443-465-3060 to discuss your questions and to connect with me to see if this could be the angelic opening you have been looking for. This program that Wings Unfurled offers is an amazing journey that can be personalized to your individual needs as well as your individual learning desires. I worked with Mary for 7 months, and when I started, I had no idea where it would take me. I was looking for in-depth techniques for meditation, angelic guidance, and a better understanding of this most amazing spiritual journey we all are experiencing. Mary has a vast range of experience that she so willingly and joyfully shared with me. She’s an amazing teacher, listener, guide and mentor. She will tailor your experience to what you feel you need to explore as you follow your quest for more spiritual knowledge. I thoroughly enjoyed spending this part of my journey with her! Robin B.